I hope you had a restful and enjoyable holiday with your families! Thank you so much for all of the wonderful gifts that were given before vacation. I always love to see the little faces of the children as they act the part of elf and deliver their gifts! I am so blessed to work in such a giving community. The month of January has been filled with a study of form and three-dimensionality. Students in grades 1-5 have been studying a variety of artists and art and making artwork inspired by them. Students in grade one studied the artwork of contemporary sculptor Claes Oldenburg. 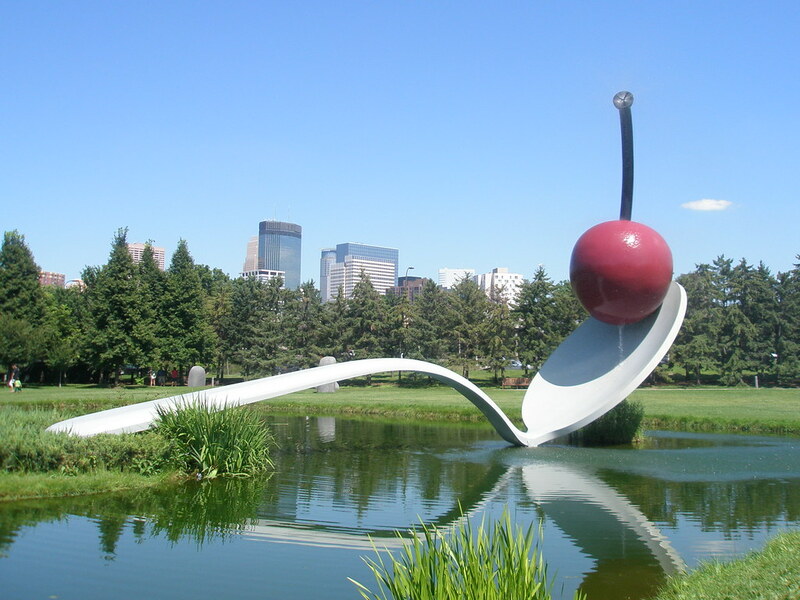 Oldenburg does artwork based on the concept of magnification. He makes huge, building –size sculptures of everyday objects. After viewing Oldenburg’s art, students learned about armatures and papier-mâché, and then created their own magnified sculptures of pencils or crayons. Second grade learned about Navajo folk art chickens, which are sculptures of chickens made using bright colors and patterns. After making armatures from granola bar boxes, students papier-mâchéd, and painted. We then added straw to the sculptures for a finishing touch. Alberto Giacometti was the inspiration for the third graders’ sculptures. Students learned that Giacometti created the human form in a unique and interesting way, which has not been recreated by any sculptor since. Each student created his/her own Giacometti-style work of art. Fourth graders learned about the Oaxacan wood carvings of Mexico. Oaxacans created animals that were stylized through exaggeration and creative color and patterns. Students were tasked with creating a sculpture plan for an animal of their choosing, and then creating an armature based upon their design. Papier mache came next, and students will be painting their sculptures during the next rotation. The history of garden gnomes was taught to the fifth graders before they also created a sculpture plan for their own gnome. Gnomes were to have an accessory and students had to determine what materials would best suit the creation of their gnomes. Fifth graders will also be painting their gnome sculptures during the next rotation. Kindergarteners have finished their study of pattern and moved onto color. They began with a study of Piet Mondrian and his use of primary colors. We have continued to study primary and secondary colors, and students have been introduced to ROY G. BIV to learn the colors of the rainbow. We will continue to work with these concepts and also move onto warm and cool colors in the coming weeks.